Simply put, it's a matter of when, not if, for the DH to be a universal rule. 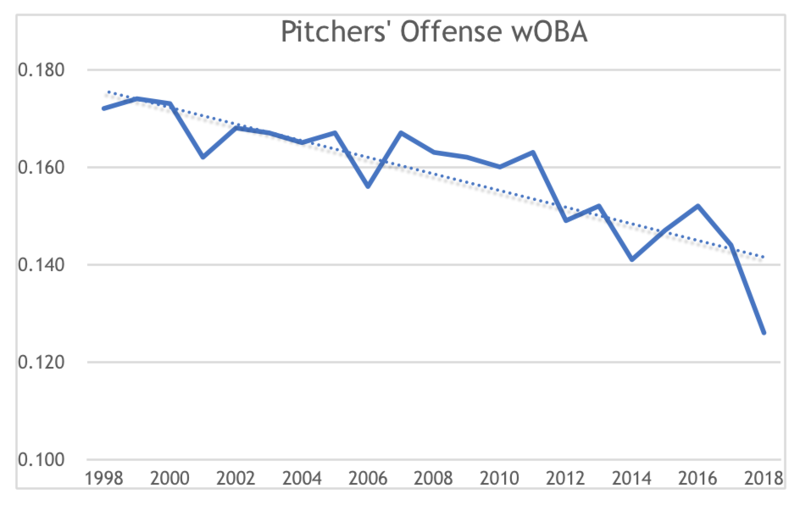 I would be surprised if it did not happen in the next labor negotiation with a tradeoff of going to 26-man rosters given how teams are using pitching these days. Then again, they may implement a rule where it is 26, but teams have to carry 13 hitters and 13 pitchers. Back on topic; the "Times Through the Order Penalty" is a real thing. As a whole, a pitcher does worse each progressive time through a batting order.